Danke don-kihotis7 für ihre Bemühungen. Ich war mir anfangs nicht sicher. Not original. It's the "Tartar weave" fake, shown at the 1st page of this thread. It helps if you read the thread. Especially when the answer was on page 1. I thank you for the info. Now, the hunt is on for an original! I thought I would add this one here rather than start another thread to help with the reference if that is OK. I have no issues with this one but I am just posting it as comparison for the benefit of members looking for a good original. This one appears to have been attached to a uniform at some point yet is in extremely good condition. If it was on a uniform I don't think it was worn very much. As usual all comments / info are welcome and can only add value to the thread. Hi Mark, thanks for showing another good original. I have this one coming up next week at work. Thanks Ade, given that this item is one of those particularly affected by forgery I think that the more good genuine pieces we can display here the greater the reference value of this thread will be! 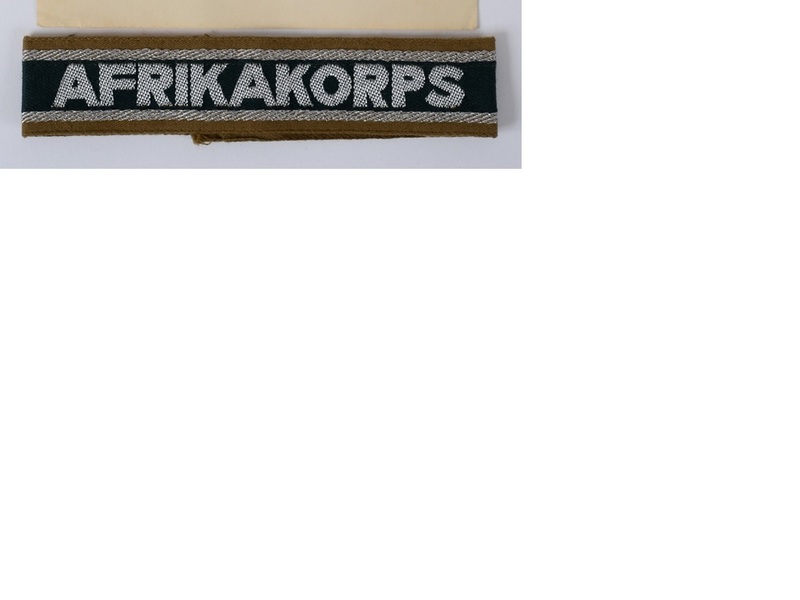 NEED HELP: Is the following Afrikakorps cufftitle original, manufactured during WW2 ? Dear other collectors and enthusiastics. With lots of interest I have read this thread but for me as young starting collector it's too difficult the following cuff title. I have bought it, but not received it yet. The photo is a sharp photo (detail) of a larger photo, but to avoid a too fast judging I prefer to hear about the item in a neutral/independant context. it's difficult to compare and Judge. Read about several types. Original ... OR for example the Tartar Weave fake with the diamond shaped "O". It's shown at the beginning of the thread by Ade ?? Am worrying ... have compared and thinking that's is a copy / postwar .. but like to hear feedback from more experienced collectors. Within circa two weeks I will receive the item by post ... then more detailimages possible. But for experts it will already be possible to Judge I suppose. Last edited by startingcollector; 08-21-2017 at 01:12 AM.